singlesballethorz: Eye Candy: Art: Award-Winning Evansville Photographer: Molly Bartels specializing in editorial, wedding and art photography in Evansville, Indiana. 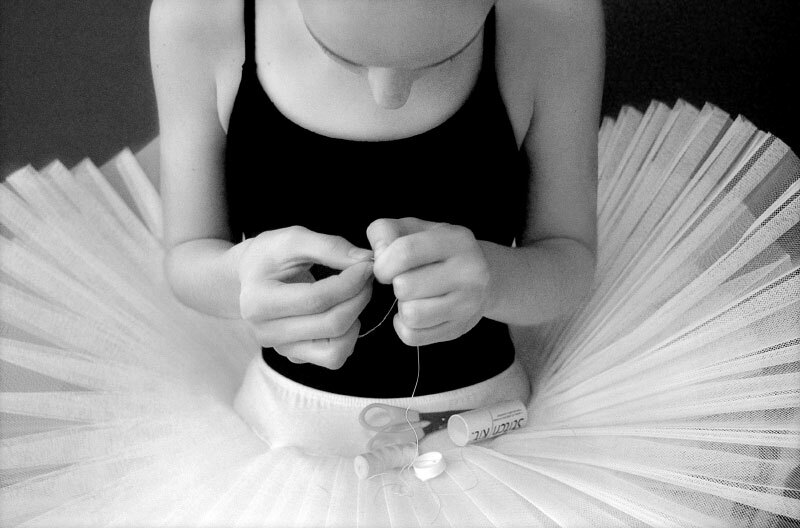 Hope Gaines, 13, takes time out from ballet practice at the Spine and Sport Institute in Vero Beach, Fl., to thread a needle to sew up the ribbons on her satin pointe shoes, which unravel often. At 13, Gaines is one of the youngest members of the advanced class at Ballet Vero, a classical career-oriented ballet academy. She and other members of the advanced class are models for the younger girls.